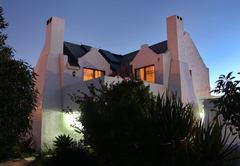 Roosmarijn Guest House is a highly recommended Paternoster Bed & Breakfast providing accommodation in 9 guest rooms for tourists visiting the Cape West Coast region. 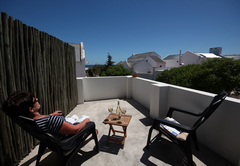 Roosmarijn Guest House is situated in Paternoster, one of the oldest fishing villages on the West Coast of South Africa, only 90 minutes from Cape Town. Relax on the sun deck or patio and enjoy the sea view or stroll along the pristine beaches, only 100 metres away. 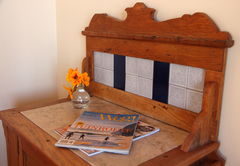 Sample delightful country breakfasts and typical West Coast hospitality in the dining room. 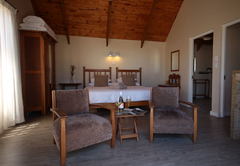 The spacious en-suite rooms have either king double or twin single beds. 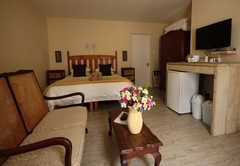 All rooms have complimentary coffee and tea facilities, small fridge, hair dryers, flat screen dstv with sport and movie channels. 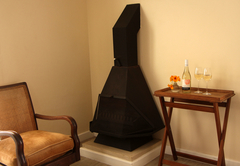 All four rooms have fireplaces and electric blankets. Free Wi-Fi. 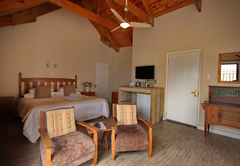 Two upstairs rooms lead out onto a sun deck from where there is a view to the ocean which is 150 meters away. Two minutes walk to long white beaches in both directions. 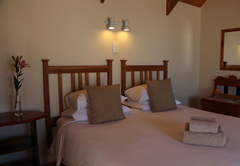 Breakfast is prepared by us in your presence and is served in the main house with a homely atmosphere. The village offers two good restaurants for lunch and dinner, and we will gladly assist with recommendations and reservations. Both restaurants are within walking distance. A laundry service is available. 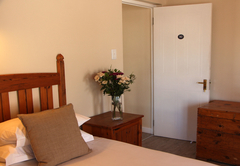 Our facilities are smoke free and smoking is only allowed outside the rooms. We accept all major credit cards. The village offers a small store where basic foodstuffs can be obtained. 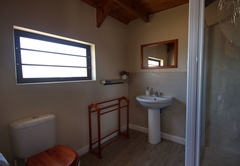 Vredenburg is 15km away, and offers supermarkets, banks and medical products and services. 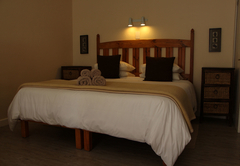 Spacious upstairs en-suite room that can be king double or twin single beds. Fireplace, tea tray and small fridge. Flat screen DStv with sport and movie channels. Room leads out onto small balcony with view to the ocean. 150 Meters walk to the beach. 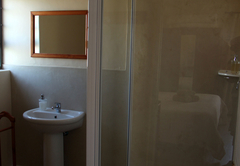 Ground floor room with a king double bed and en-suite bathroom. 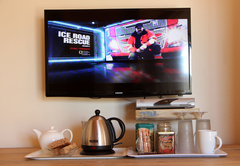 Fireplace, tea tray and small fridge. Flat screen DStv with sport and movie channels. Room leads out onto small patio with garden view. 150 Meters walk to the beach. Such a lovely guesthouse. 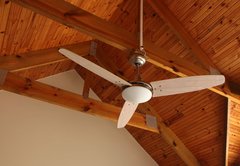 We were received with a warm welcome by the family, everyone was very friendly and easy going. I loved our room, the balcony works really well for quiet afternoons in the sun. Absolutely enjoyed breakfast, simple straight forward wholesome food prepared with love. I would definitely return to Mosselbank B&B. Response timeRoosmarijn Guest House typically responds to requests in 5-10 minutes. Child policyChildren over the age of 16 are welcome.